No fewer than 5 bunkers protect the front of the green on this short, delightful par 3. These bunkers are all deep and very tricky to play from so avoidance is the best policy. The green itself is generous in size and always responsive, allowing a well flighted ball to stop on the putting surface. 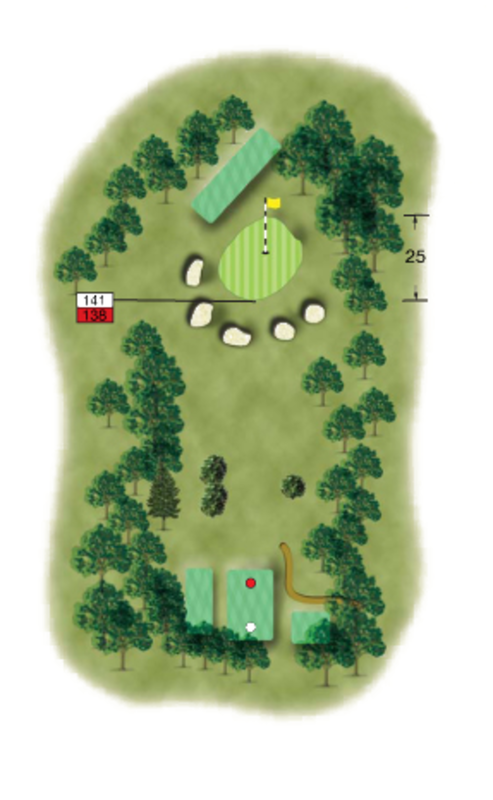 All the trouble is provided by numerous deep bunkers short of the green. Use an extra club to avoid them.